Canada is without doubt one of the most rewarding countries of the world to work in. Every year over 200,000 people visit Canada to explore job opportunities and become a part of the workforce. Nigerians represent a significant percentage of these people. To take a job in Canada as a Nigerian, you are required to obtain a work permit. A work permit is a kind of document that signifies that a person has been authorised to take a job in Canada. The following are the basic steps to follow to obtain a Canadian work permit or visa from Nigeria. Proof to show that you will return to your country whenever your work permit expires. You must have a genuine reason obliging you to return to Nigeria after your temporary work visit to Canada. This could be your family, assets such as houses, businesses or any other thing that will assure the Canadian immigration officer of your return to Nigeria. You must be in complete health. People with HIV/AIDS are most likely to receive a negative response to their visa application. In most cases, a medical examination will be required. Possession of adequate funds to ensure your smooth stay in Canada. The Canadian immigration officer must be convinced you can take care of yourself while in Canada. You will need to provide proof of funds in terms of a bank statement of your account with history for at least three previous months. If you are a family member of a permanent residence applicant. Note that you must be a dependent family member. If you are a refugee or you relate to a refugee. If you are a spouse of a Canadian worker or an international student in Canada. The location of your work. A copy of your employer’s Labour Market Impact Assessment (LMIA) – the LMIA is a document which is issued by the Employment and Social Development Canada (ESDC) for employers to fill giving them permission to hire temporary workers from outside Canada. If your employer in Canada was required to complete a Labour Market Impact Assessment, you need to get ready a copy of the LMIA and the employment contract for your application. Employment contract: you also need to provide the employment contract to apply for an employer-specific work permit. If you are applying for an Open work permit however, you are not required to provide the above documents, materials or information from an employer alongside your application. Documents to show your proof of Canadian employment: apart from the LMIA and job offer letter or employment number, you also need other proofs of job eligibility such as an educational certificate, a Curriculum vitae or resume showing previous work experience or a valid Canadian Provincial Certificate. If your work location is in Quebec, you will need to provide a certificate of acceptance to Quebec which is called Certificat d’acceptation du Quebec (CAQ). If you will be accompanied by a family member, you will be required to provide a proof of your relationship such as marriage or birth certificate as the case may be. 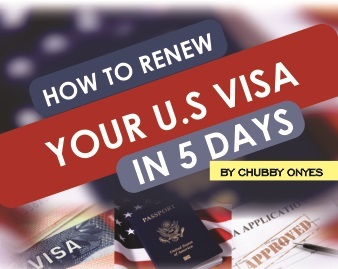 If you are not a Nigerian but you are applying from Nigeria, you may need to get your re-entry permit before you proceed with your work visa application to Canada. Family Information Form: required form that must be filled by the applicant and each accompanying family member as long as they are 18 years or above. It is strongly advised that you download, study and follow the instruction guide provided to fill out these forms carefully. This will give you all the information you require to successfully complete your application forms without errors. Download the Instruction Guide here. After you have successfully downloaded and filled your application forms. You should print them on a white, bond quality, non-glossy paper by making use of a laser printer. This includes all forms and barcoded sheets. If you have people travelling with you such as family members, they must also download, fill and sign their forms as appropriate. In the case where there is an applicant under 18 years, then the forms should be signed by the parent or guardian. After accurately filling your forms, you must click on the validate button located at the top or bottom of your form. This will bring out a barcode page with a signature line which you should also print and sign as required. Ensure you always place the barcode page at the top of your whole application package for submission. If you have more than one package to submit, print separate barcode pages for each of them and place at the top of each. After you have filled the appropriate forms and arranged as required, the next step is to pay your fees. The Work permit application processing fees: Currently, this cost CAN$155 per person and includes extensions. Group work permit fees: if you are travelling as a group for example performing artists, the fees is CAN$465 for a group of 3 or more. Open work permit holder fees: this is currently CAN$100 per person. If you are applying for an open work permit, you are required to pay this fees alongside your work permit fee. Note that the visa application fees is non-refundable. If your application is eventually rejected, your funds will not be returned to you. Biometric fees: Nigerians between the ages of 14 and 79 are required to give their biometrics (fingerprints and photograph) when applying for a Canadian Work Permit therefore you will have to pay the biometrics fees, this costs $CAN85 (about N24, 642.35.00) per person. Biometrics fees for family is CAN$170 while for a group (of 3 or more) costs CAN$255 and includes the service charge. You can check for more information on visa fees here. Note that these fees are to be paid at the cash counter of the CVAC and only cash is accepted. Therefore ensure you go along with enough funds. It is very important that you collect your receipts after payment of fees. Do not leave without an evidence of payment. Now after making necessary payments. You may submit your application documents and the receipts/proof of payments of all fees paid. These include the visa fees, service charge and biometric fees. It is important to note that they will demand for your biometrics at the visa application center so ensure that it is completed. This will be done at the CVAC. Also, be sure that your Document Checklist Form is well filled and included in your application package for submission. After submitting your documents, processing will follow and your application will be reviewed by an immigration officer. Sometimes, the officer might decide that an interview is required and you will contacted through a letter stating the date, time and venue of the interview. If your application is approved, you will be sent a letter of introduction confirming that your work permit application has been approved otherwise, an explanation will be sent on why it is refused. If you need to re-apply, you will have to take note of the explanations and pay your fees again. Make sure you include your current contact information such as e-mail address, telephone numbers, mailing address and fax. Warm greetings to whom ever this mail may reach. Am a tipper truck driver currently working at the quarry in Nigeria with 10years driving experience . I wish to work in America, Canada or Australia. What can I do to have a job offer?